The Daily Bluapple: New Package Color! I just received my reminder to change my apple... I love this product because I live alone, am 82 years old, I 'barely' cook anymore, tend to subsist on 'leftovers' brought from various restaurants and frozen dinners... therefore I store vegetables in my crisper for two-three weeks... or sometimes longer... When I first purchased the apple I was not 'reminded' and I started noticing ?signs of 'decay'? 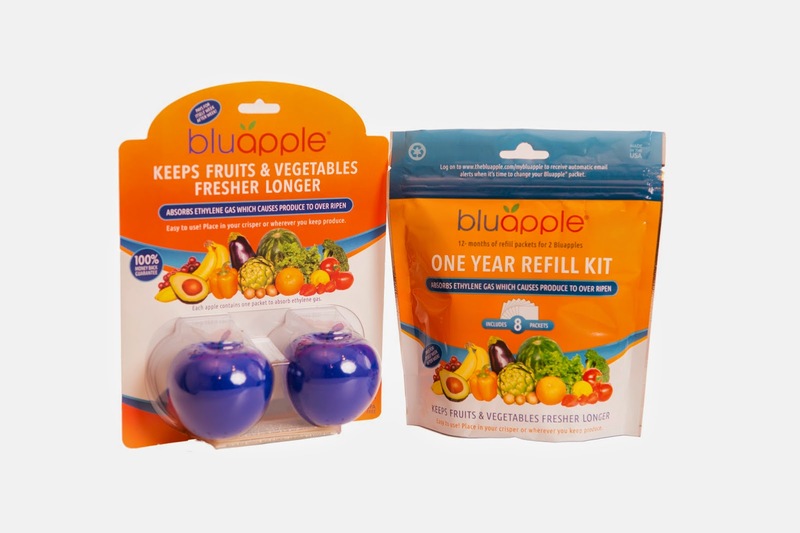 and I realized that I had not changed the refill...and I notified the Blue Apple people and they apologized profusely, and ever since, have notified me... religiously.. ~sigh~ I am a happy camper!! !